Have you ever found yourself asking the questions: What is the right life for me? What is the right job, the right partner? What is the right decision to make? The inquiry of what is right is always something many strive to live in daily life. However, the decisions we make are in response to the challenges that happen to us in life. This inquiry is the start into the study of the Four Points of Rightness. It is not about what is right and wrong and neither is it about imposing a new morality. 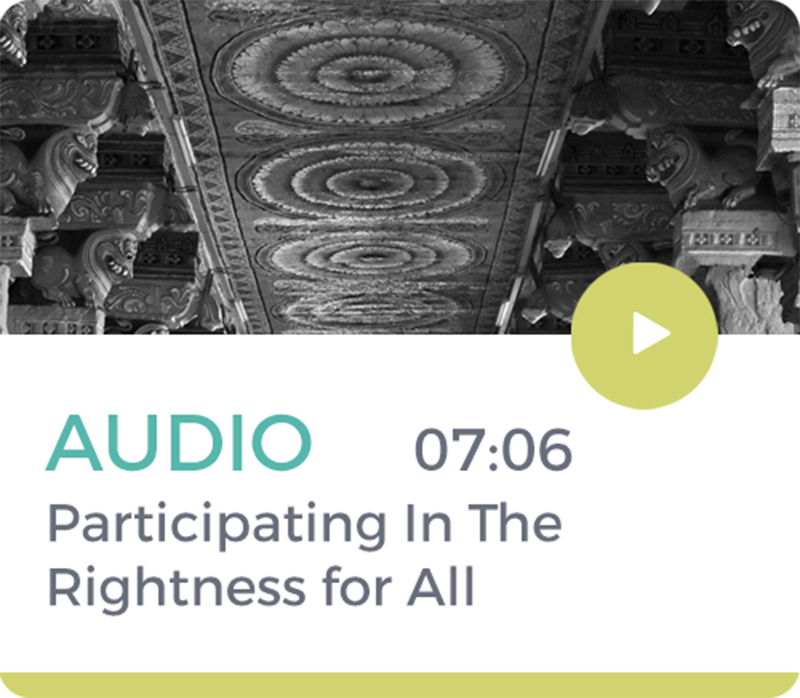 This is an inquiry about rightness for itself, learning to be in a state in which rightness is present rather than the state where you are seeking the right way to deal with what happens to us day-to-day. 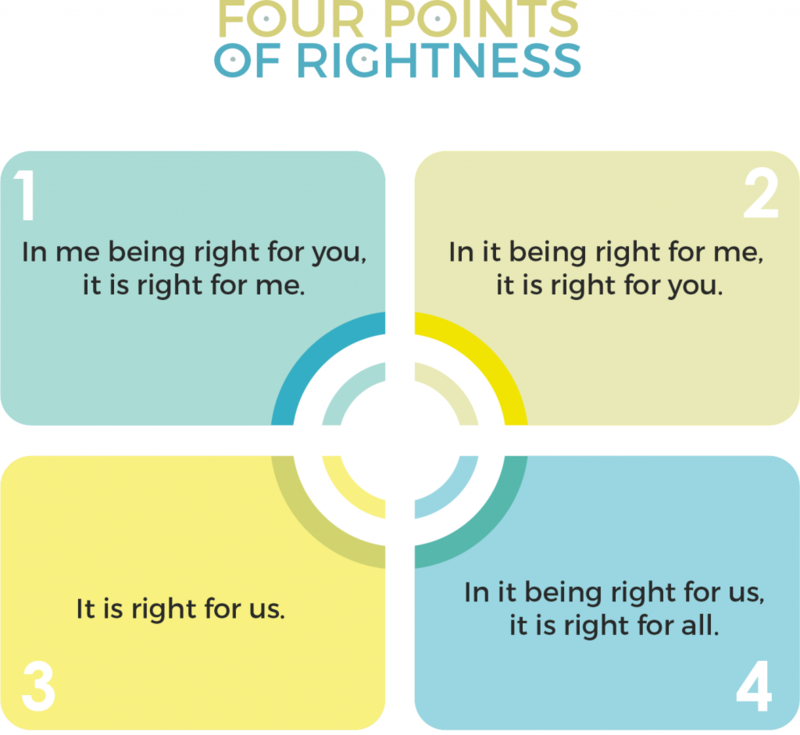 Four Points of Rightness is a guide on how you can re-establish rightness with yourself and another, as well as with everyone. In this two-day workshop, a facilitator will guide you through how to apply the Four Points in your life. 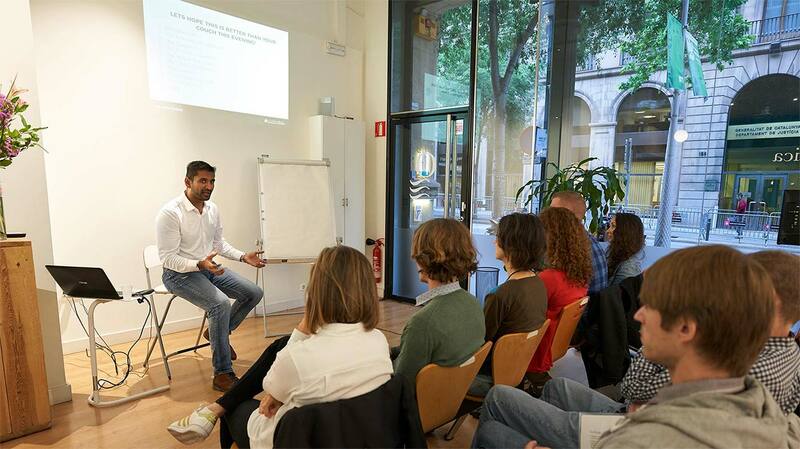 The Four Points of Rightness workshop is a fantastic experience, providing insights that at first might seem basic, but when examined closer are very powerful. Becoming aware of our helplessness is a lesson that is priceless. I will never forget the wonderful weekend. The Four Point of Rightness workshop arrived to my attention exactly when I needed to understand that I matter as I am, no matter what happens or people’s opinion on me. 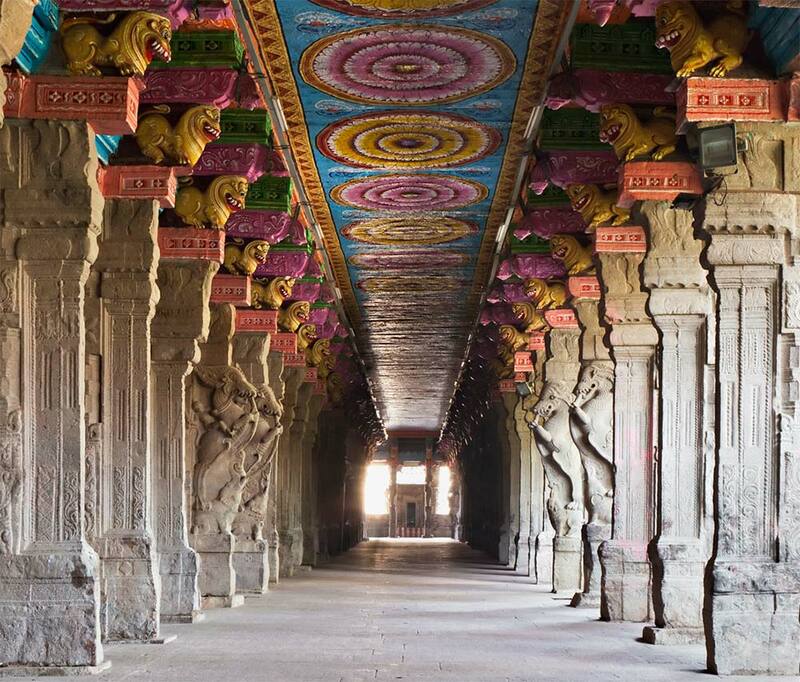 It is a journey to implement the insights, and the regular observation and breathing exercises brought me to better understanding of my emotions and who I am, as I am. I’m still far from having the life that will be a celebration rather than reaction on other people’s actions, but I am continuing living and enjoying the journey. The workshop helped me in starting the process. Thank you. After attending the Four Points of Rightness, I can really use every uncomfortable situation or demand in life that has been placed on me to watch it, become aware and finally grow from it. The workshop is well structured and provides a lot of tools to rise beyond personal limitation. The teaching is a gift to all who want to live rightly. 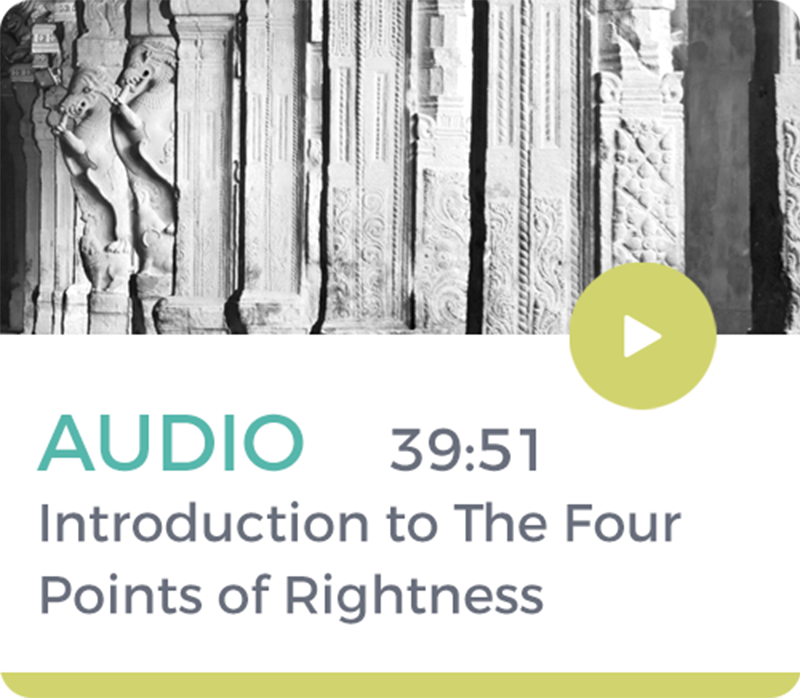 Four Points of Rightness helped me have clarity into the formation of this self that is here, why I am the way I am. In seeing this clearer, it has less of a grip on me. It has been months since the workshop and looking back, I feel I am a more easy going person since, gaining clarity to the ‘self’ and I’m not as defensive or demanding. Four Points of Rightness is a great door opener to allow change to happen in life. Through a series of talks, guided exercises and personal reflections, I was able to identify many aspects of my life I was not being right with and the corrections needed. Importantly, our personal insights are then discussed with the facilitator and through this dialogue much more comes out. By allowing a series of transformations coming from multiple entry points during and after the workshop, my reality changed for good, faster than ever. It’s beauty is in the simplicity. I’m thrilled to know a new evaluation system that rings true to my core. Four Points of Rightness is awesome! Whenever I did what felt right but my reality turned out to show me an outcome which I didn’t intend nor wanted, I always wondered what went wrong. This workshop taught me the universal laws that I need to consider when I want to create something rightly. Most importantly, I understood what self-responsibility really means and how this knowledge helps to shape one’s reality. There were so many more insights given that made this workshop a great learning. 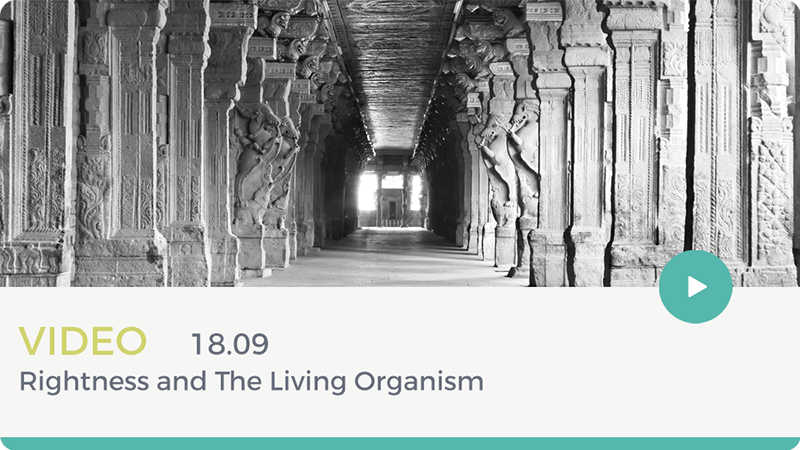 This is a powerful workshop with many valuable insights, opportunities for personal reflection and experiential exercises that bring the learning home. I really found it helpful to break down the impacted state which we live in – examining the main fear or hurt that causes it and the defences we employ. I liked the way the programme pulls together seamlessly all the different facets of what leads to the image we project and then gives us a personal perspective on what we need to pay attention to allow ‘the more’ or the higher part of us to be revealed. It was truly a gift to be able to participate in the workshop, and I have gained so much from the insights. Because of the way it was taught, the exercises and innovative concrete materials it has lasted longer and hit me in a lasting way. Freedom from single point consciousness is amazing. Many thanks and my sincere gratitude.